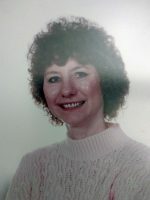 Betty Jean Millard, age 65, of New Philadelphia died in her residence, Wednesday, August 15, 2018. Born on June 5, 1953, at Elkins, West Virginia, Betty was a daughter of the late Dale Harper and Alice Jean Davis Harper-Heffelbower. On October 26, 1989, she married Pastor William J. Millard, Sr. and celebrated 26 years of marriage prior to his death on May 31, 2016. Betty worked for a period of time as a nurse assistant but felt a deep calling to care for animals. She worked for Sifferlin Animal Clinic and volunteered at the Tuscarawas County Dog Pound and Humane Society. As an avid animal lover, she supported Best Friend Animal Sanctuary in Utah. She loved caring for her own pets, collecting unique plates and dolls. She is survived by her family that includes a sister, Cindy (Tina) Bucher; four brothers, Roger (Cindy) Harper, LeRoy (Kathy) Harper, Robert (Lori) Harper, and Tim (Eric) Harper all of Canton; a step-son, Wayne (Heather) Millard; a daughter, Christine (Ricky) Joiner of Uhrichsville; her grandchildren, Jessica Hanlin, Christopher McKitrick, Bill Myers and numerous nieces and nephews. In addition to her mother, father, and husband, Betty was preceded in death by two sons, John “Jay” Myers, Jr. and William J. Millard, Jr. In keeping with Betty’s wishes, there will be no public services. Cremation care has been conducted by Geib’s Tuscarawas Valley Crematory. Memorial Contributions in Betty’s name may be directed to Tuscarawas County Humane Society, 1432 Tall Timber Road NE, New Philadelphia, Ohio 44663.